This video tutorial from the kids will show you how easy it is to reuse plastic food containers and turn them into flower pots. We start seeds all the time at our house for seedlings to plant in the aquaponics system. The pots and trays we use are seedling trays, or clear plastic containers from store-bought fruit. They are not very pretty. 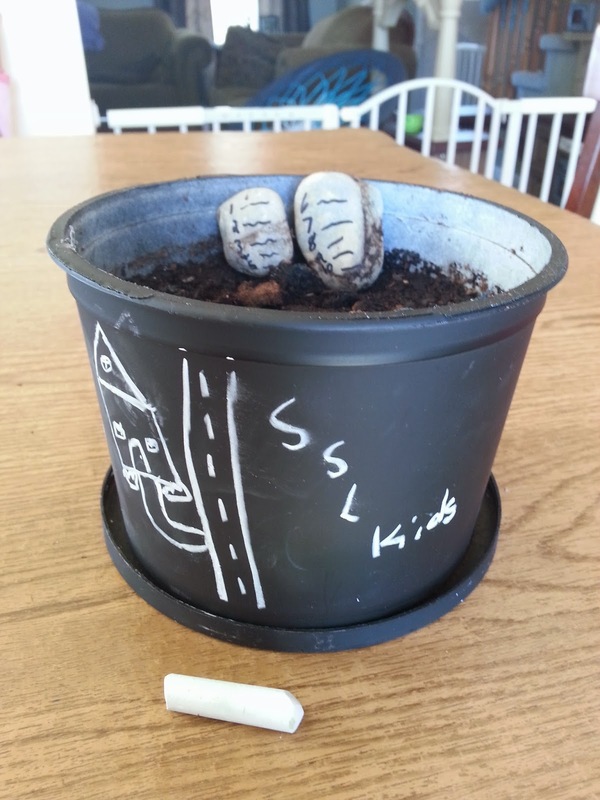 Since the kids always want to keep a plant for themselves, we thought it would be nice if they had pots of their own that they could decorate. We spray-painted a sour cream container with black chalkboard paint for our pot, but you can use any paint you'd like. 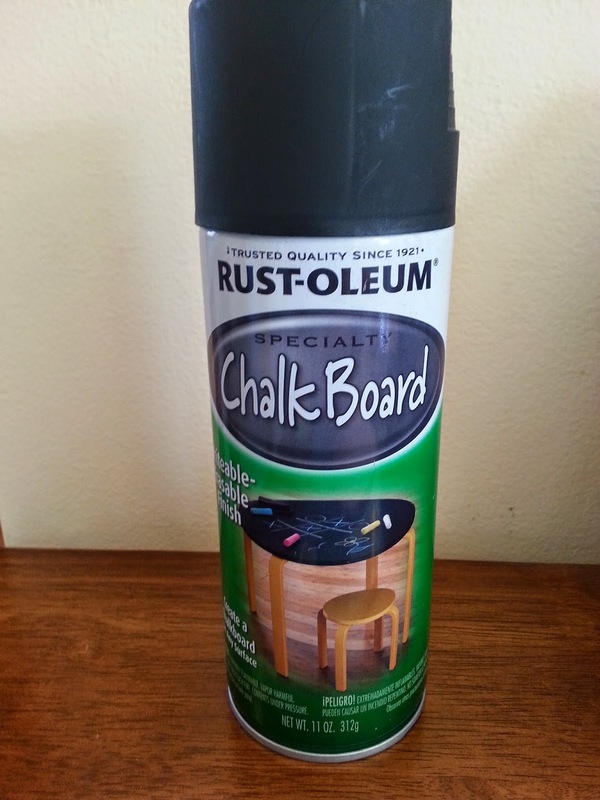 The chalkboard paint is fun for kids because they can decorate it easily. We love this craft because it's inexpensive and a great way to teach the kids about recycling as well. 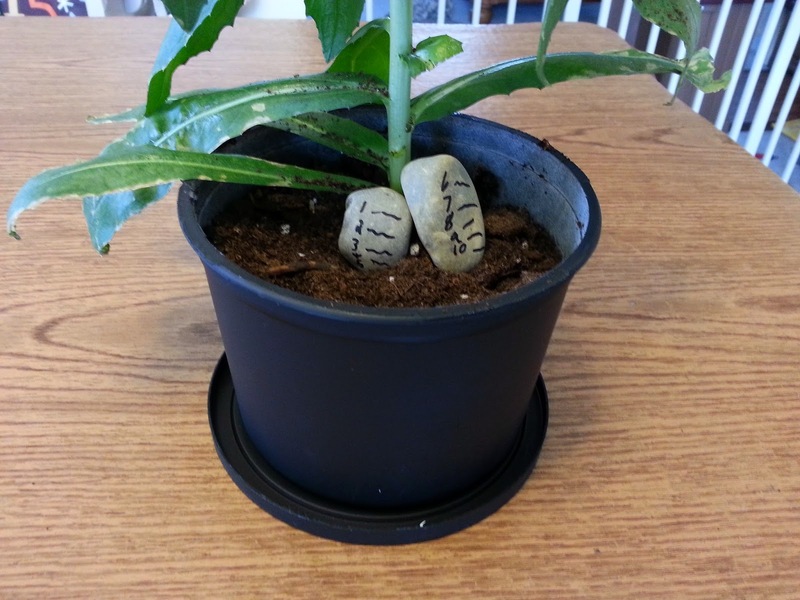 The kids also put their Ten Commandments rocks in their pots as well.